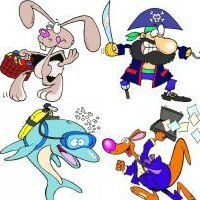 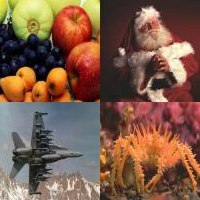 On this page you will find links to over 610 free jigsaw puzzles. 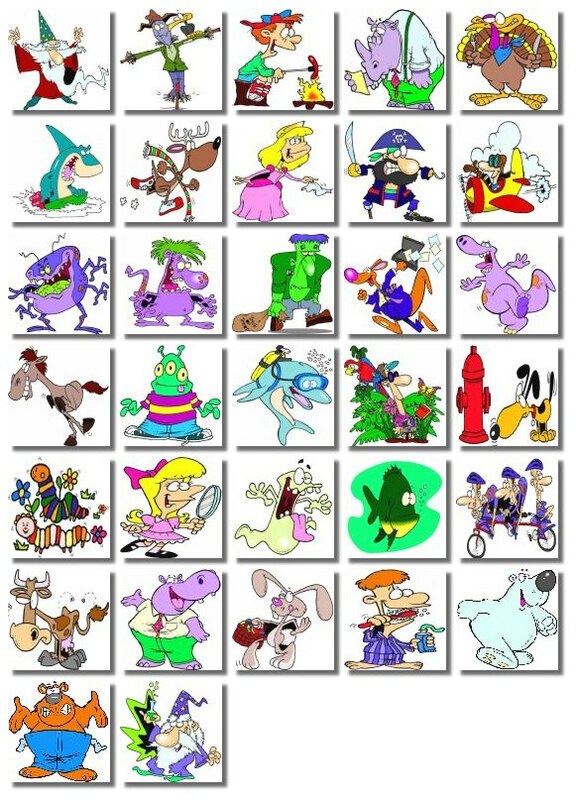 To use these puzzles you will need to download "Jigsaw Mania", a jigsaw game. 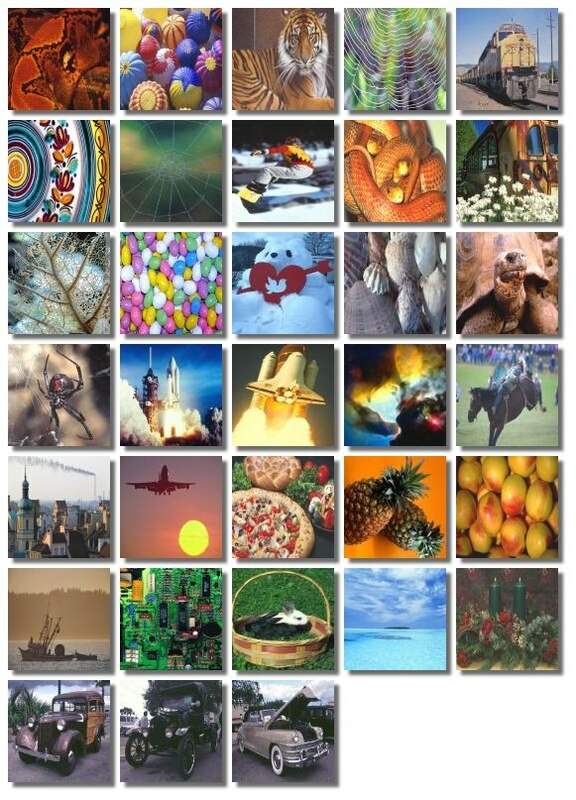 Once you have installed Jigsaw Mania, open it up and go to "Options->Download new jigsaws puzzles..." on the menu bar. 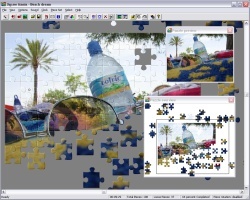 This will start the "jigsaw browser", a tool which can automatically download the free jigsaw puzzles below. 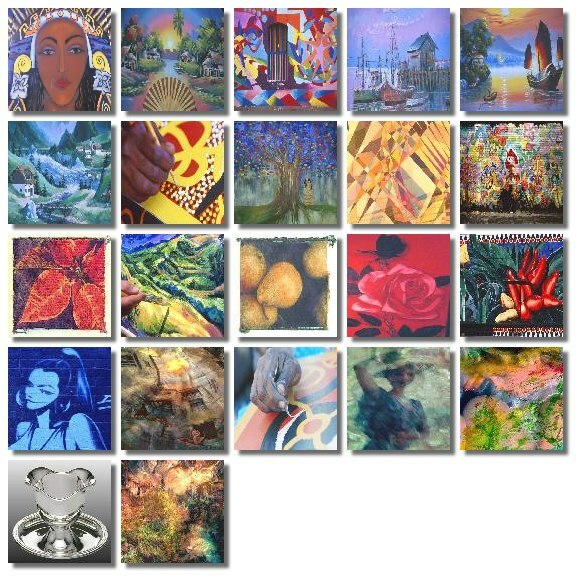 34 small, medium and large jigsaw puzzles of various subjects. 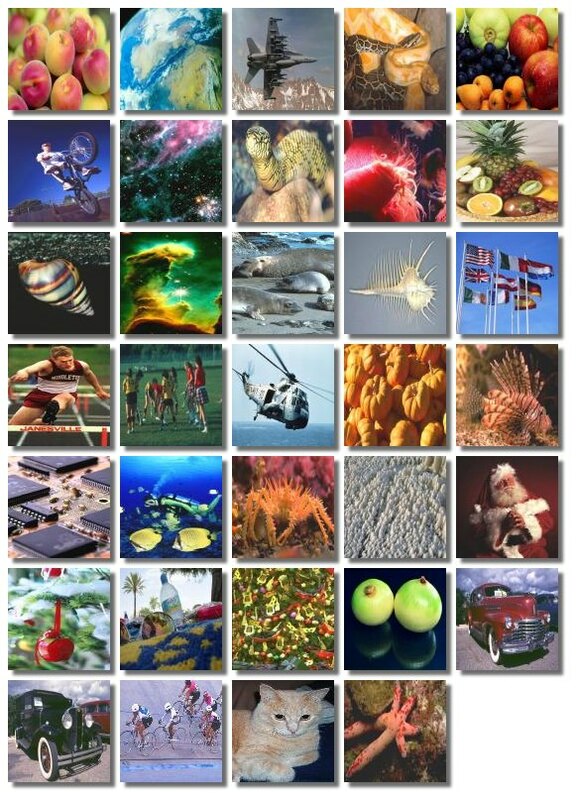 A great way to start your jigsaw collection. 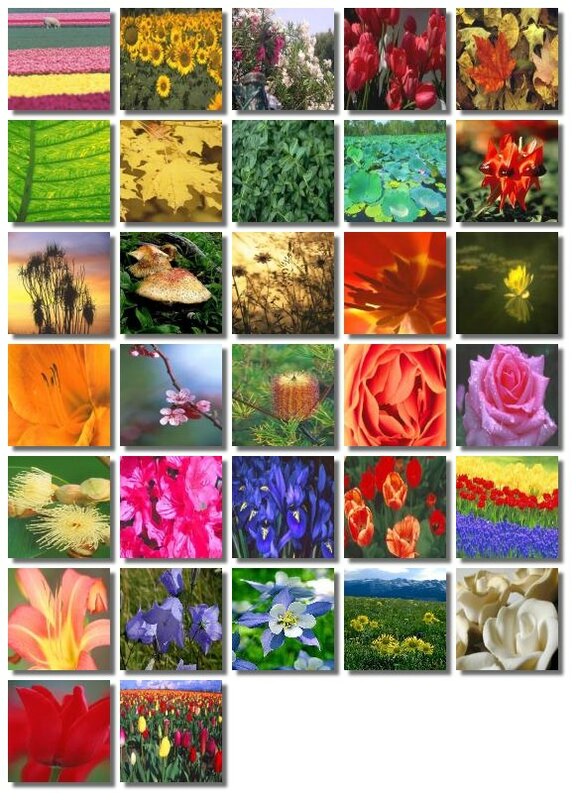 33 Assorted jigsaw puzzles to extend your collection. 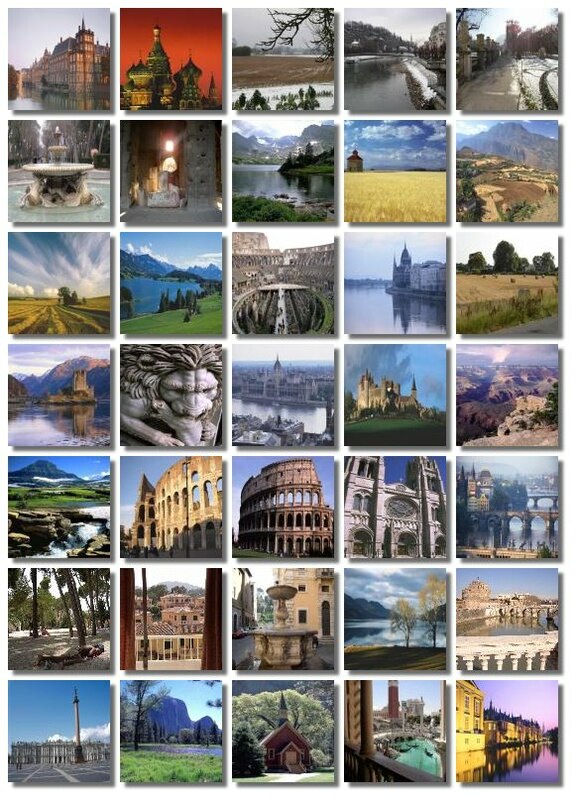 A further 34 jigsaws to challenge you. 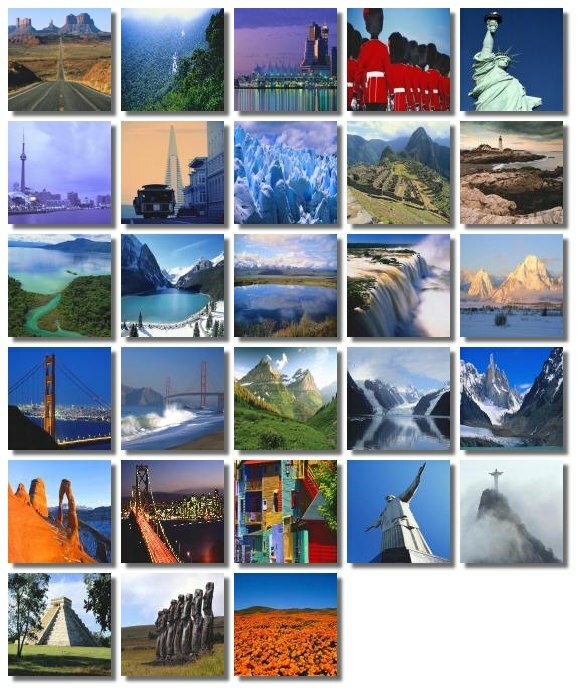 28 jigsaw puzzles from around North and South America. 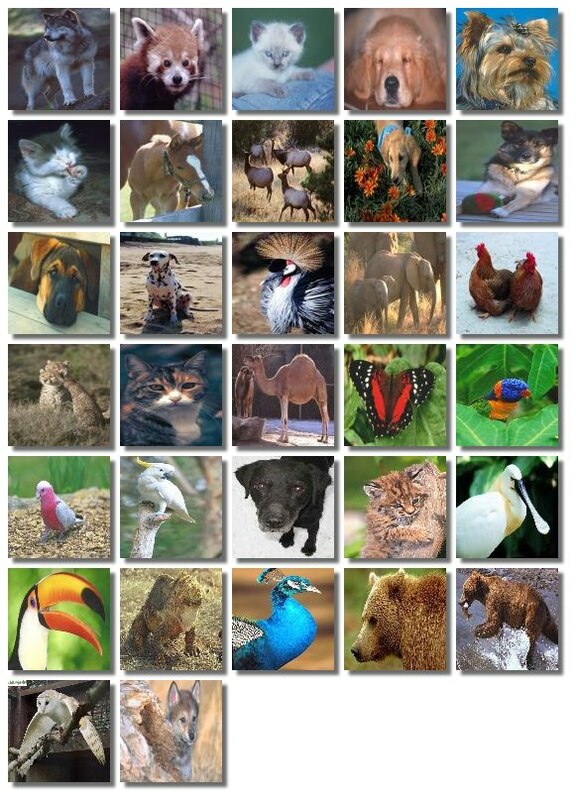 33 Animal jigsaws, featuring dogs, frogs, tigers and more. 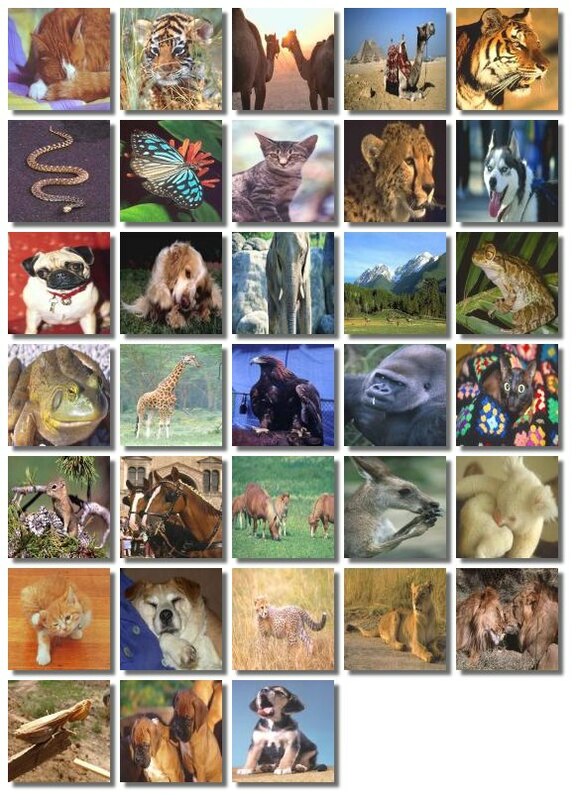 31 Animal jigsaws, featuring puppies, monkeys, lions and more. 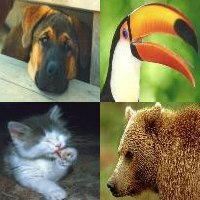 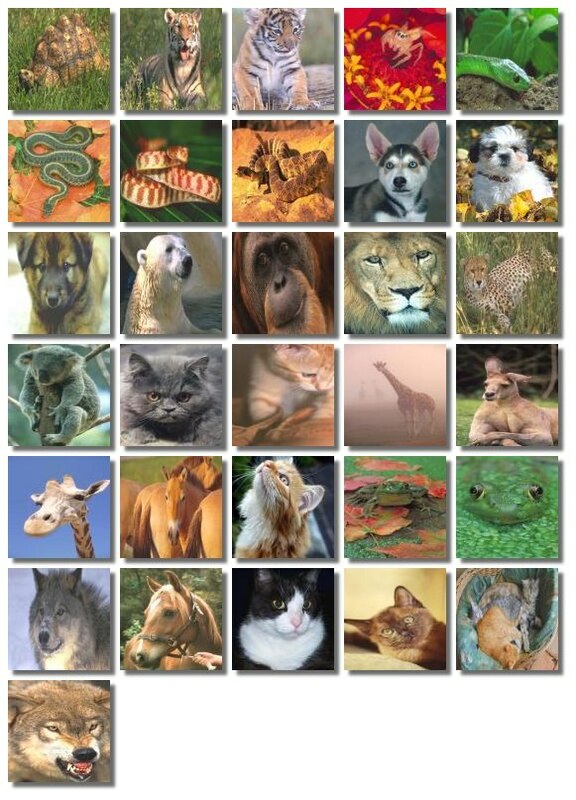 32 Animal jigsaws, featuring bears, lizards, kittens and more. 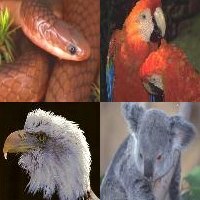 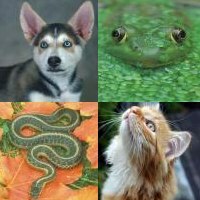 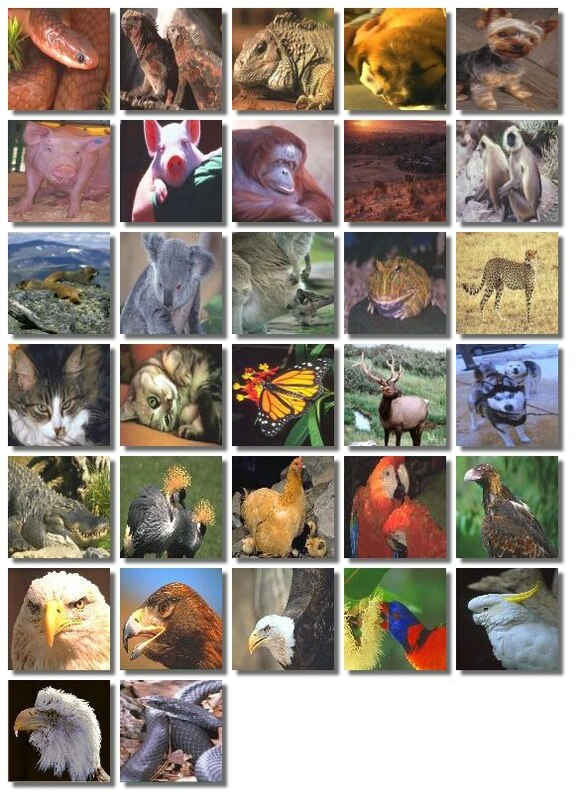 32 Animal jigsaw puzzles, featuring birds, pigs, snakes and more. 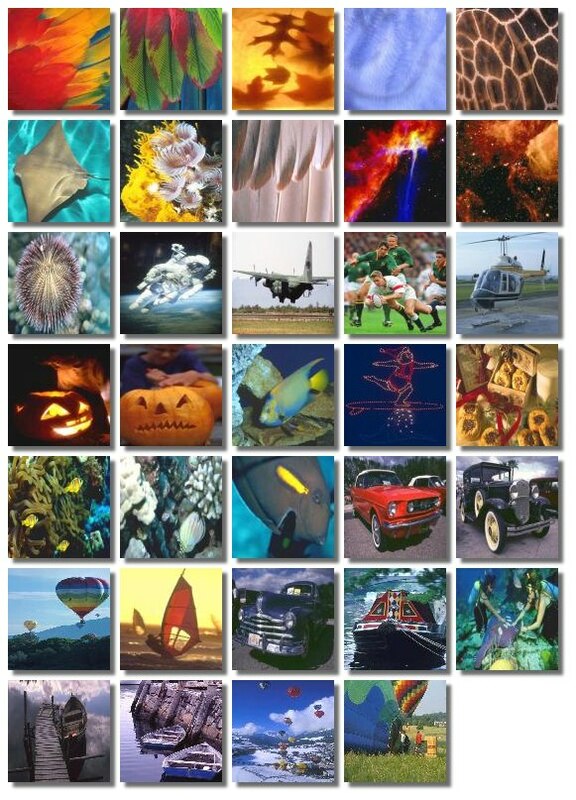 22 Works of art, captured as jigsaw puzzles. 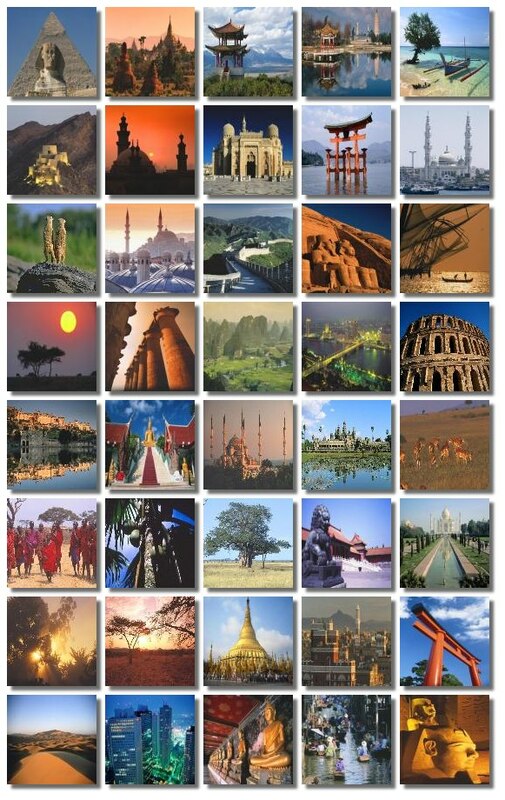 41 jigsaws depicting scenes from all over Asia and Africa. 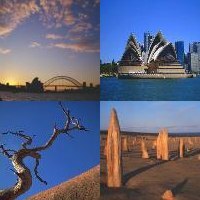 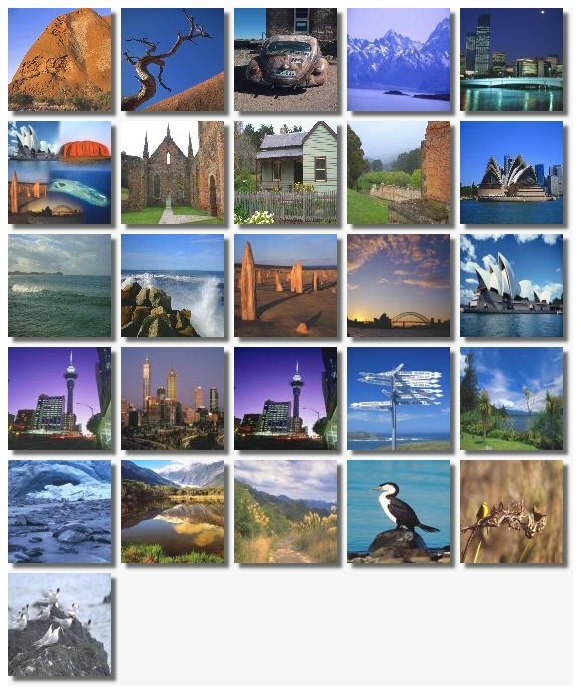 26 jigsaw puzzles from all over Australia and New Zealand. 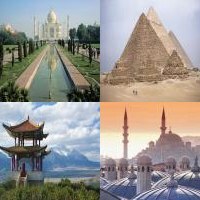 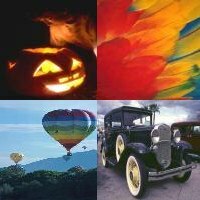 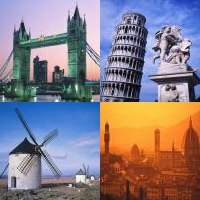 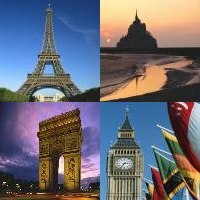 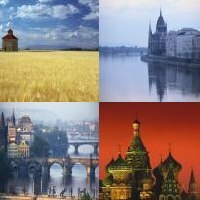 36 jigsaw puzzles of famous buildings and beautiful scenery. 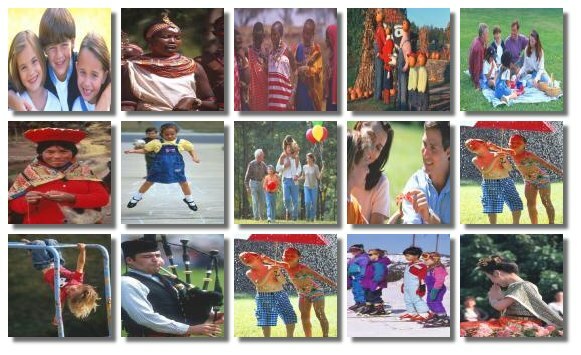 32 jigsaws just for the kids! 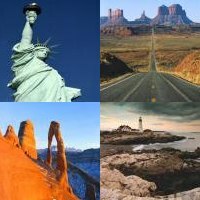 These fun jigsaw puzzles come with extra large pieces. 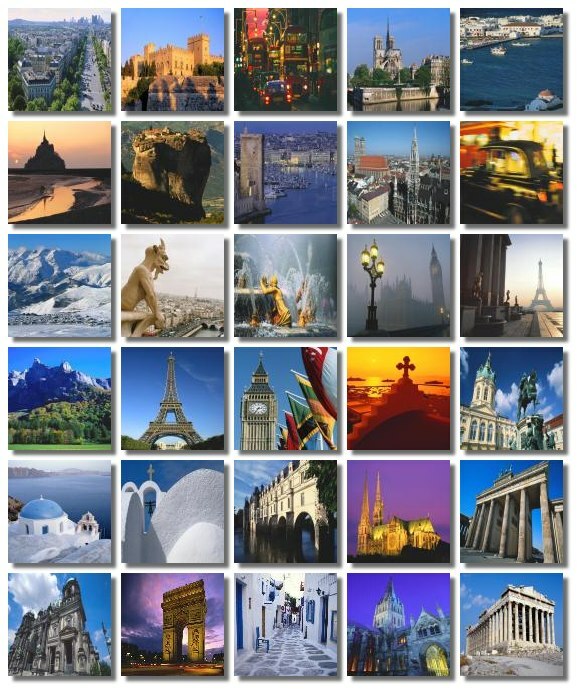 A set of 30 jigsaws taken from around Europe, from Big Ben to the Eiffel Tower. 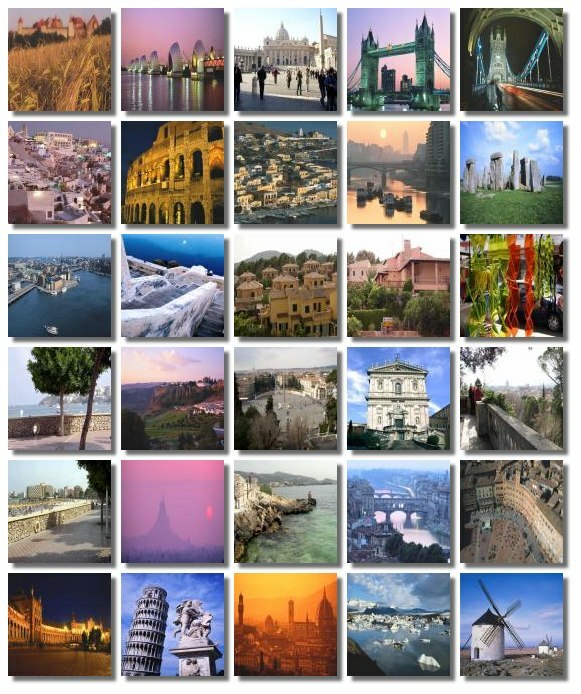 Another set of 30 European jigsaws, from London to Rome. 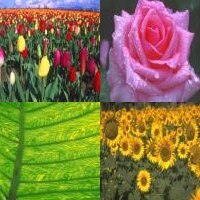 32 bright and colorful jigsaw puzzles of flowers and plants from all over the world. 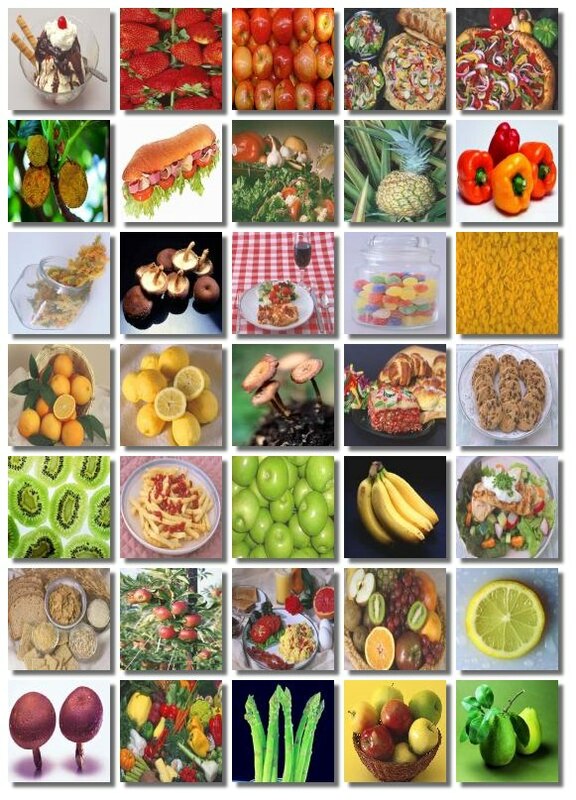 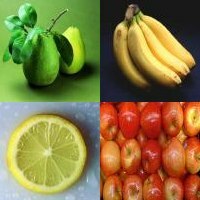 36 jigsaw puzzles of various foods, from pineapples and pears to pizza. 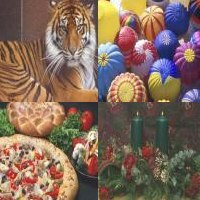 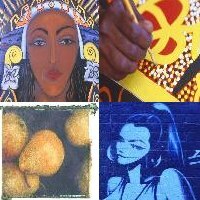 15 jigsaw puzzles of people from all over the world. 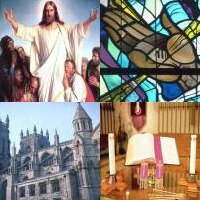 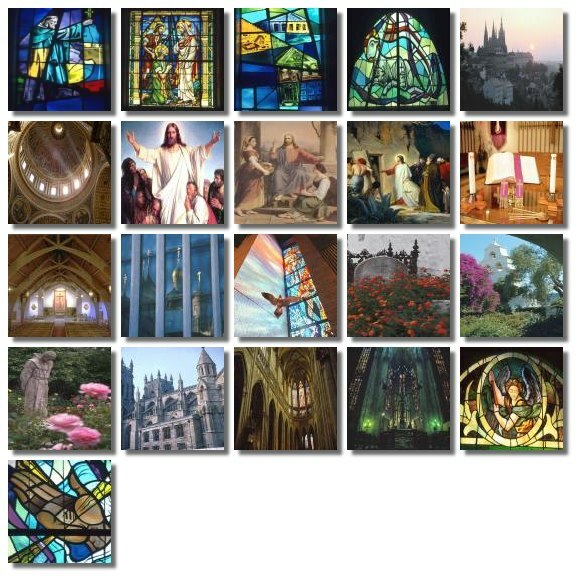 21 jigsaw puzzles of religious imagery. 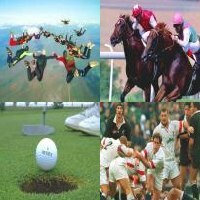 34 jigsaws of various sporting scenes. 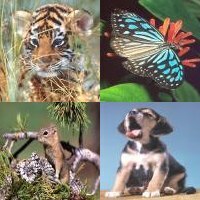 Remember, to access these free jigsaw puzzles you just need to download and install Jigsaw Mania.